Mirella Ricciardi’s African pictures have the integrity of spontaneous, intuitive documents made with the deep love of someone who knew and understood their subject. There is nothing voyeuristic here, no sense of exploitation of the exotic, rather a sense of Mirella’s tender, familial engagement, and her considerable respect for the inherent nobility of what was before her lens. 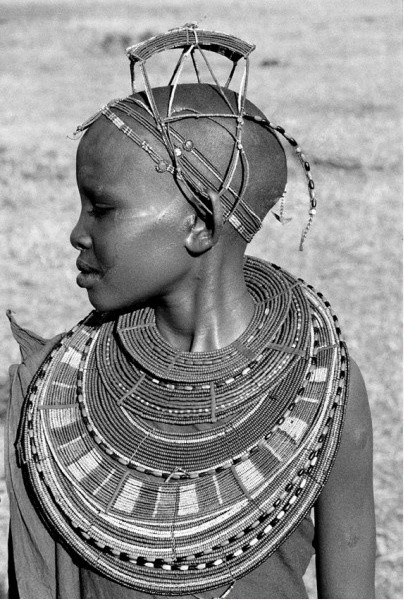 The small selection of portraits made in 1968 and now on exhibition – printed in platinum in a powerful large format – represents just one facet of a wide-ranging reportage that was published nearly forty years ago as a book, aptly titled Vanishing Africa. 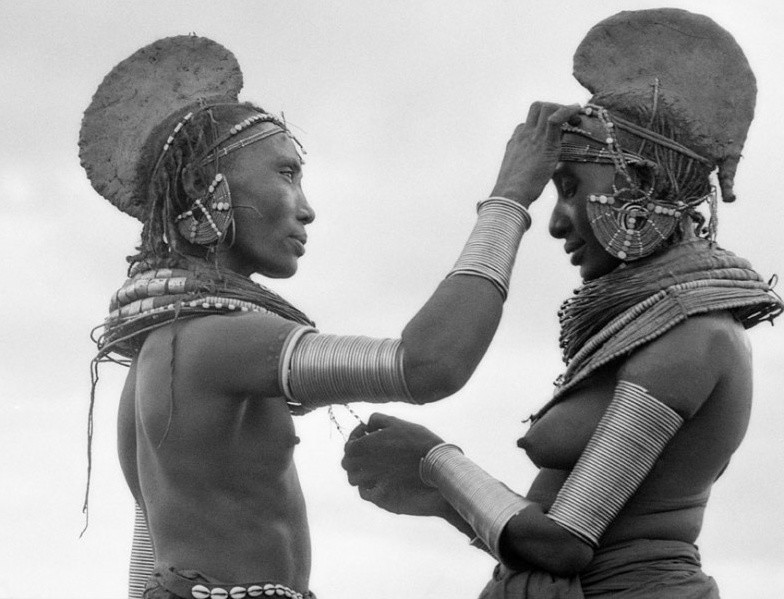 The photographer had close connections with Kenya and a privileged access to the peoples of the Turkana and Masai tribes. She recognised the vulnerability of the land, the people and the animals suspended together in a state of grace that was magical, but doomed. Mirella knew she must fulfil her unique opportunity to make a record of this fugitive moment and she did so with energy and passion. By the turn of the millennium her book seemed long forgotten and her pictures were too little known. Four decades on from their making, and with our painful awareness of the obliteration of the way of life that they depict, these images take on an extra layer of poignancy as elegies for a lost Eden and as fine metaphors for all that we are in danger of destroying on our planet. Mirella Ricciardi worked on instinct. These pictures reveal the intelligence and sensitivity of that instinct.